Sign languages (SLs) are visuo-gestural representations used by deaf communities. Recognition of SLs usually requires manual annotations, which are expert dependent, prone to errors and time consuming. This work introduces a method to support SL annotations based on a motion descriptor that characterizes dynamic gestures in videos. 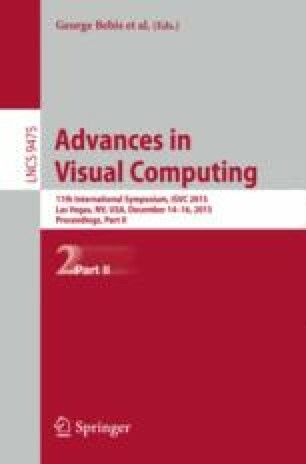 The proposed approach starts by computing local kinematic cues, represented as mixtures of Gaussians which together correspond to gestures with a semantic equivalence in the sign language corpora. At each frame, a spatial pyramid partition allows a fine-to-coarse sub-regional description of motion-cues distribution. Then for each sub-region, a histogram of motion-cues occurrence is built, forming a frame-gesture descriptor which can be used for on-line annotation. The proposed approach is evaluated using a bag-of-features framework, in which every frame-level histogram is mapped to an SVM. Experimental results show competitive results in terms of accuracy and time computation for a signing dataset. This research is funded by the RTRA Digiteo project MAPOCA.